Our restaurant serves a hearty breakfast everyday. Lunch and dinner is served on request. In our bar we serve lighter food and drinks, on occasion accompanied by live music. 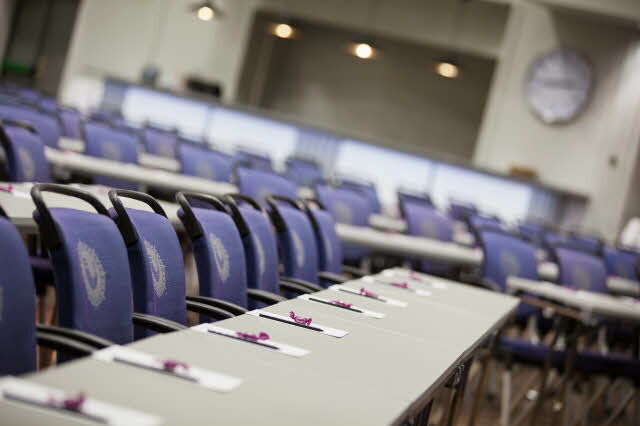 We have 6 meeting rooms with a capacity for up to 450 participants, where the biggest room is Nordic Hall, suitable for meetings, concerts and events. As a guest you'll have access to free WiFi. Millibar, a nice lobby bar on the ground floor with an exciting food concept; each of our cooks has his/her own week to set up the menu.